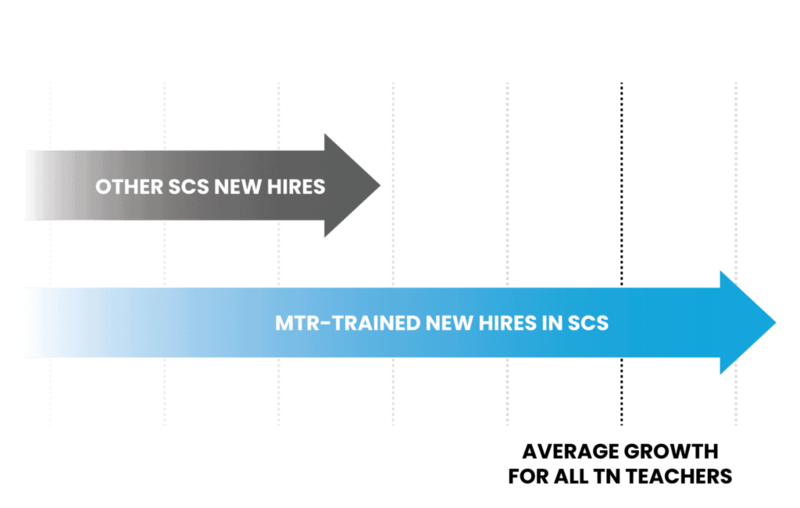 While there is significant variation in student growth among MTR-trained new teachers and similar variation among other new teachers, the student growth (TVAAS) average across all new MTR-trained teachers has consistently been about 1/2 standard deviations higher than the average for other SCS new hires. This difference is not only statistically significant but also meaningful in terms of students’ lifetime outcomes. This year’s results are consistent with the higher student growth shown in each of the prior SCS reports on MTR. 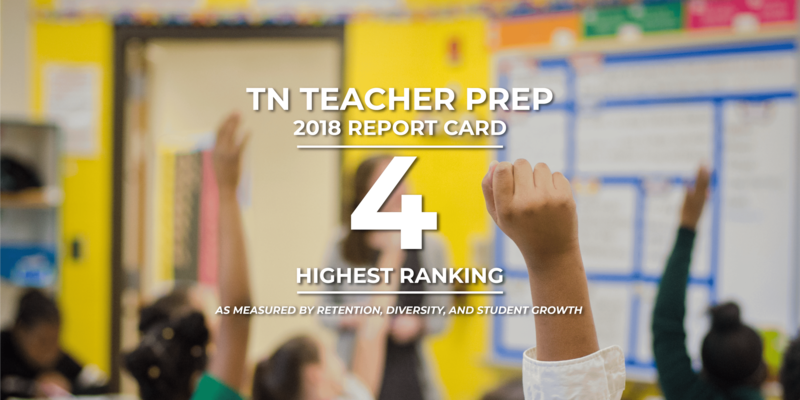 Out of 38 teacher preparation programs in the state, Memphis Teacher Residency is one of six in the top overall performance category (4) in each area evaluated. Our university partner, Union University, is also among these six programs. MTR is one of six teacher preparation programs in the state with more new teachers having above-average student growth (TVAAS 4 or 5) than below-average student growth (TVAAS 1 or 2). Statewide, however, new teachers are more likely to see below-average student growth than above-average student growth. MTR graduates are also likely to be highly rated by their administrations during classroom observations and among the most likely to stay in the classroom for at least three years. Serving in a teacher, school leader or other K-12 role. Over 90% of MTR graduates complete their 3-year commitment where historically less than 60% of district hires teach for at least three years. 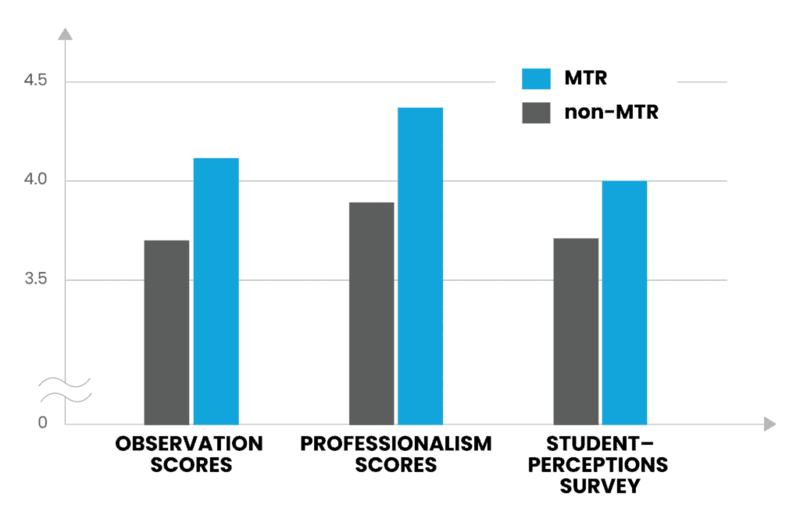 Ultimately, principals who hire MTR graduates are significantly less likely to need to rehire that same position over the next several years. With a median career in Memphis education of 8.2 years, over 50% of graduates are still working in Memphis high-need classrooms and leadership positions in their 8th year after graduation. edTPA is a performance-based, subject-specific assessment used by teacher preparation programs throughout the United States to emphasize, measure and support the skills and knowledge that all teachers need from Day 1 in the classroom. Tennessee requires a passing edTPA score in order to earn initial teacher licensure, and MTR residents had a significantly higher edTPA average than the national average. 100% of residents taking edTPA so far have passed on their first submission. All residents submit a 15-rubric handbook for which the TN passing score is 38. The national average is 44. In a survey conducted by Teach901, over 1,200 teachers in Memphis priority schools were asked about perceived effectiveness of their teacher preparation programs. 436 respondents answered the question, “How effective was your teacher preparation program in developing the skills you needed to become an effective teacher?” The Memphis Teacher Residency had the highest effectiveness rating of all the teacher preparation programs represented.